Friday afternoon means it’s time to be thinking about the weekend. This is a special weekend since it marks the beginning of the London Olympic games. Some of us will be glued to the screen. Others, not so much. I’m in-between. I like the games, but don’t usually go out of my way to watch. Mind you, we don’t have cable or satellite TV, so we’re relying on what’s available on network TV. On the eats side, I’ve found a recipe book of healthy snacks and a complete guide to pizza. I don’t really like the title of the snack book. Not everyone has the body type to be skinny and it isn’t a healthy choice for those who don’t. Finding your ideal weight and sticking to it is a better goal, to my mind. However, the cover got me. I would love to make tomato, mozzarella, basil skewers. Great idea! Looks like there are more such recipes inside. There were actually lots of great free cookbooks today, but even I can’t grab them all. If you want to take a look, you’ll find them here: Best Sellers in Cooking, Food & Wine. However you spend your weekend, have a lovely time! 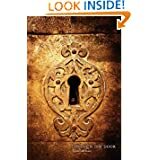 Celtic mythology and the modern world collide in Through the Door, the first book in the new urban fantasy series The Thin Veil. Cedar McLeod lives an ordinary but lonely life, raising her six-year-old daughter Eden on her own while trying to balance the demands of her career and the expectations of her mother. Everything seems normal until the day Eden opens her bedroom door and finds herself half a world away – and then goes missing. Suddenly, Cedar realizes her daughter is anything but normal. Get rid of the guilt! You can have great snacks and not feel guilty at all. This book contains fun and delicious snacks that are around 100 calories each. You do not have to stop yourself from eating great snacks again. The recipes are easy to make, nutritious and healthy. With this recipe book, you do not have to think about what you can have to eat. The recipes are very appealing and presented well. You can restore your creativity and lose weight. There is a great variety of foods which will satisfy your diet. 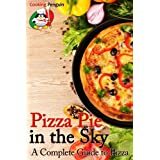 This entry was posted in Kindle Bargains and Freebies and tagged Books, Fiction, Free, Kindle, pizza, Recipes, Snacks by Lori Saltis. Bookmark the permalink.